Biotechnology Industry Research Assistance Council (BIRAC), the Department of Biotechnology's interface agency is helping transform innovative startups into viable and competitive products and an enterprise. 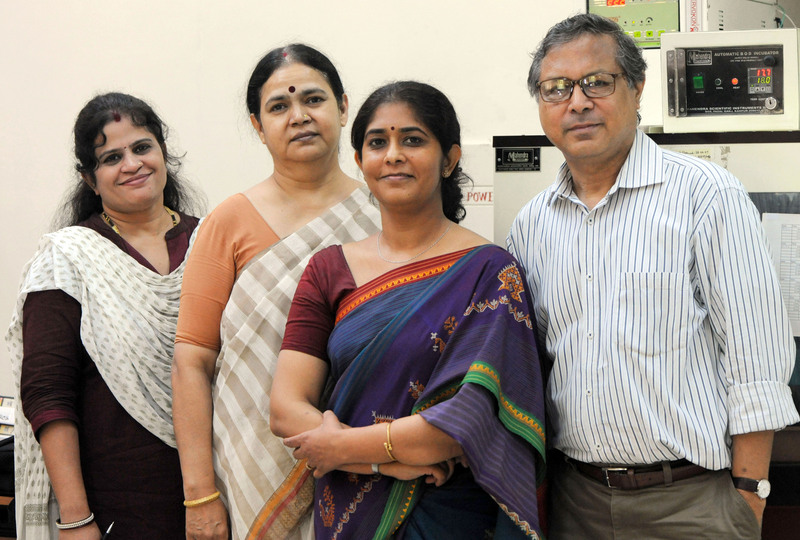 BIRAC has introduced the Biotechnology Ignition Grant (BIG) scheme, which is designed to stimulate validation of research discoveries by providing very early stage grants for the development and maturation of those discoveries. BIRAC would invite proposals for Ignition grant at least twice a year. The BIG Scheme would be implemented through BIG Partners across the country. C-CAMP has been chosen as one of the five BIG Partner organizations (apart from IKP Knowledge Park, Hyderabad, Foundation for Innovation and Technology Transfer (FITT), New Delhi, Venture Centre, Pune, SIDBI Innovation & Incubation Centre (SIIC), Kanpur and KIIT Bio-incubator, Bhubaneswar). C-CAMP has been chosen as it has the necessary scientific infrastructure, expertise and high-end platform technology access to nurture early stage inventions through Proof of Concept stage. Over the last few years, C-CAMP has supported 76 start-ups through the BIG scheme, and close to 100 start-ups through its other activities including bio-incubation, mentorship and other facilitation. C-CAMP start-ups are currently working in the fields of healthcare and medical devices, drug discovery, molecular biology, transgenic model systems, biomaterials, bioenergy, synthetic biology, upstream & downstream processing, agricultural sciences, nutraceuticals etc. As a mandate from DBT, C-CAMP has been providing high-end technology services and training to academia and industry across several technology platforms. To know more about our technology platforms, please click here . Access to scientific infrastructure, expertise and cutting edge technology could be vital for BIG applicants. Currently there are a few organizations/individuals that are incubating at C-CAMP and have been also utilizing the technology development and scientific expertise on campus. Additionally, C-CAMP has been involved in technology development in collaboration with academia and industry partners. 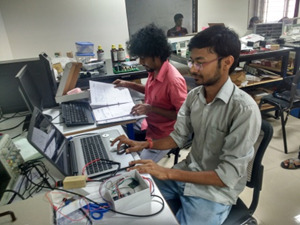 A young bio-energy company started by a group of graduates from IIT-Madras working on developing end-to-end solution to replace the fossil fuels.Sea6 Energy is guiding its efforts towards low-cost, large scale cultivation of red seaweed on the ocean and developing salt water based biotechnological processes to produce biofuels (ethanol, isobutanol etc. ), agricultural biostimulant and phycocolloids from red seaweed. 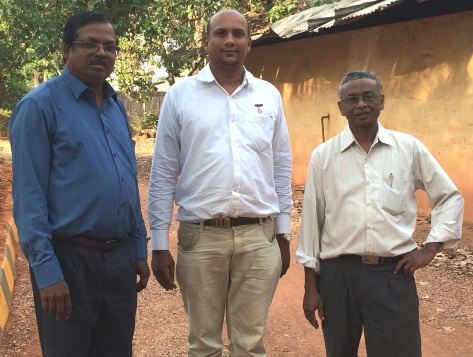 Their first product, AGROGAIN™, is a plant growth stimulant from seaweed extract that is now in the market through their partnership with Mahindra & Mahindra. They have raised private investment from Tata capital and they continue to incubate at C-CAMP, where they have expanded from their 6-member team to around 30 scientists and non-scientific staff. 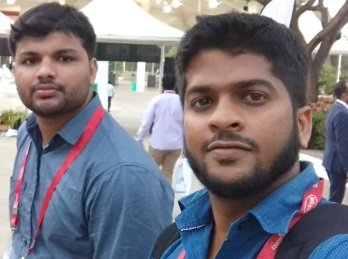 A young Bangalore based start-up working on development of 'programmable' materials/ devices based on bio-inspired modules for applications in healthcare.The company was founded by and is now headed by a couple of Indian Institute of Science graduates. After winning the first prize in the BEST Scheme, they applied for and were granted the BIG scheme funding for taking their idea forward. The material they are trying to develop as a part of the BIG project is a modular elastomeric hydrogel with important applications in drug delivery and wound management amongst others.They are resident incubatees at C-CAMP and have established POC and have received follow-on funding. Achira Labs has developed a proprietary lab-on-chip platform to perform rapid, quantitative and multiplexed immunoassays (protein tests) at a low cost Through the BIG grant they are focussing on development of a simple, affordable and accurate diagnostic test for tuberculosis (TB), based on DNA aptamers that detect multiple TB antigens.Their first product ACIX-100 is a proprietary platform that has been calibrated to perform POC tests for HCG (pregnancy), thyroid hormones, and female fertility hormones. Achira has procured follow-on funding. 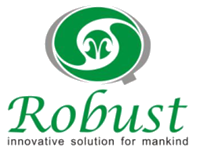 A newly established start-up based in Goa which is into development of enzymes for biomass conversion. They have been funded through the BIG scheme for work that involves enzyme based production of high quality wine from mangoes through enzymatic maceration for high quality juice as starting material. 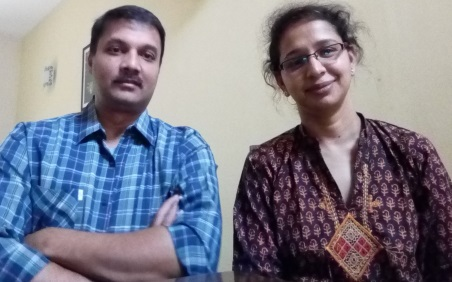 Their aim is to make the most of and produce a valuable product from mangoes that are wasted due to lack of proper utilization, post-harvest.Their first product, “Pomar De Frutas” mango wine is produced exclusively from Alphonso mangoes by using a patented wine-making recipe that involves enzymatic maceration of mango pulp. The wine is golden in color, crisp with a fruity aroma and a long lasting finish. Western Range Biopharmaceuticals Pvt. Ltd.
A newly Western Range Biopharmaceuticals is an Ahmedabad -based R&D-oriented biotech company committed to develop the advanced therapeutics and diagnostics for cancer by partnering with medical community, patient groups, and scientists.Their BIG-funded project focuses on development of personalized immunotherapy for treatment of cancer using autologous & activated dendritic cells. 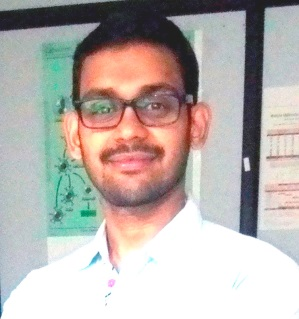 Dr. Vikas Mehra is an individual BIG awardee currently incubating at Cluster Innovation centre M.S.University, Baroda.He is focused on generation of a diabody against TNF-alpha and IL17R which can be used as a therapeutic intervention for treatment of psoriasis. The diabody will be generated by linking two highly specific scFV against TNF and IL-17R as opposed to the complex production of large mAbs. Started in 2013 and based in Bangalore, Theramyt Novobiologics Pvt Ltd is a biotech company focused on biologics and biobetters. As a part of their BIG-funded project, Theramyt is developing cell line platforms which used for production of functionally improved therapeutic antibodies. 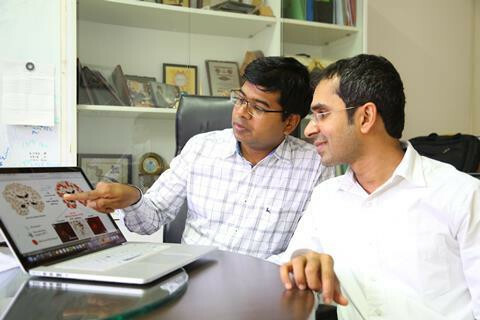 GNG is a young start-up based in Nagpur working towards the goal of identifying Biomarkers and Drug Targets of MTB infection.Apart from focussed MTB therapeutic research, GNG specializes in Protein Expression, Protein Purification, Recombinant & native Protein Expression, and Monoclonal Antibody Production by producing target specific Antibodies. A Kanpur based start-up which is an outcome of the laboratory research in the area of cancer treatment performedby one of the founders. 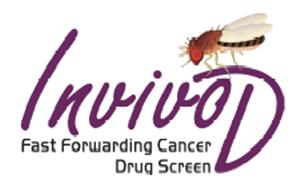 The company is now focused on translating these findings into a Drosophila-based model system for cancer drug screening. The in vivo drug screening system they are in the process of developing can be very useful for validation before clinical trials. 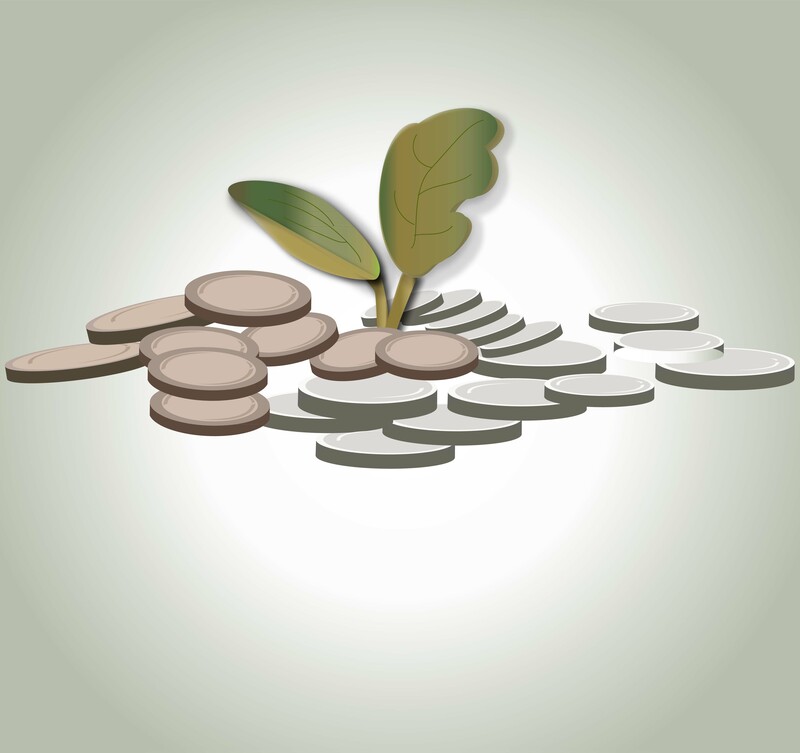 Nurture Earth R&D Pvt. Ltd.
A young company started in 2010, located in Aurangabad working on nano-magnetic disc based, antibody specific ablation of cancer cells. This technology is which is currently being validated in vitro through BIG funds, is expected to become the basis of a non-surgical procedure for elimination of cancer cells. 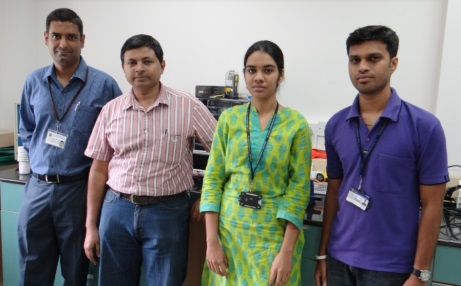 A young venture currently incubated at IIT Madras that is into on fibre laser systems. 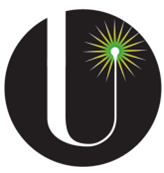 As a part of their BIG-funded project they are working on development of a cost-effective fibre laser technology for photoselective surgery with infra-red and visible lasers for use by urologists and ophthalmologists. An individual entrepreneur, currently incubated at Sir M Visvesvaraya Institute of Technology, Bangalore. He is working on development of commercially viable products such as nutraceuticals, poultry and aqua feed from the wastes of palm oil mills and silk reeling industries. 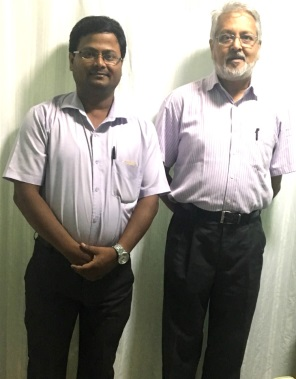 A Team of two academicians, mentored under Dr. Shams, incubated at Technology Business Incubator (TBI), University of Delhi. They are synthetic biologists working on developing processes for microbial overproduction of 2,3-butanediol from lignocellulosic biomass based on metabolic engineering. 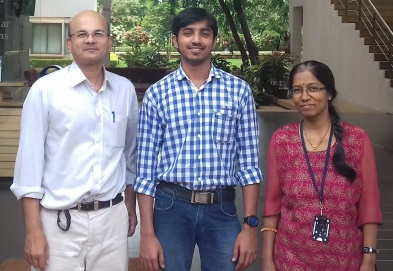 An individual academician from InStem, Dr. Vinod Nayak is incubating at C-CAMP and working on development of an efficient Yeast based system for membrane protein expression by designing a flexible suite of shuttle vectors with multiple promoters and affinity tags for expression and purification. 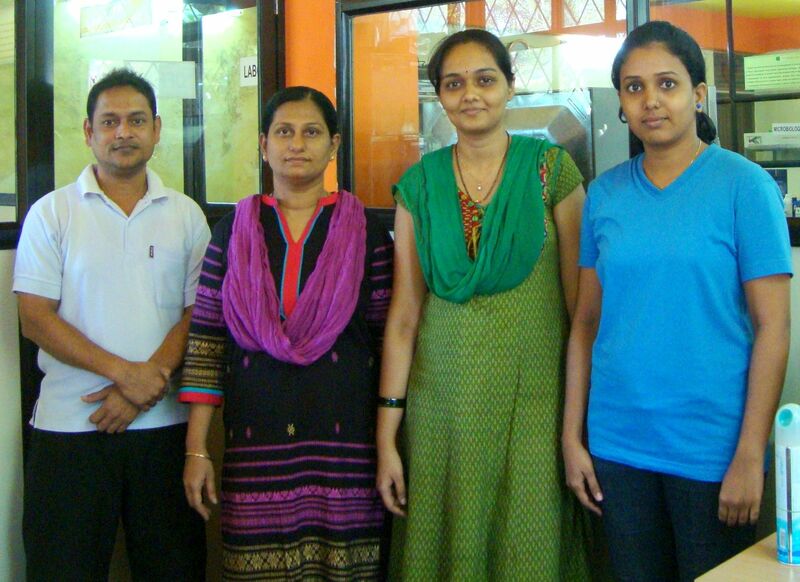 Dr. Yashoda Ghanekar is an individual academician from InStem incubated at C-CAMP. Her BIG-funded project involves establishment of invertebrate transgenic model systems through modification of lentiviral systems. The use of this technology to genetically manipulate invertebrates would make these model systems ideal for research and preliminary screenings in drug discovery and toxicology studies. 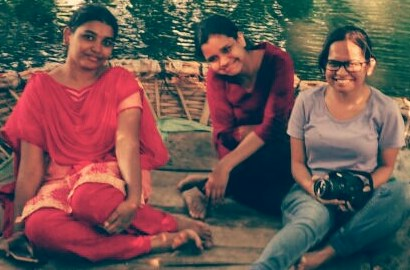 Dr. Shweta Morey is an individual entrepreneur in the process of incorporating her company, INDIABiolabs which is dedicated to researching novel all-natural antimicrobials for the food and pharma industry. 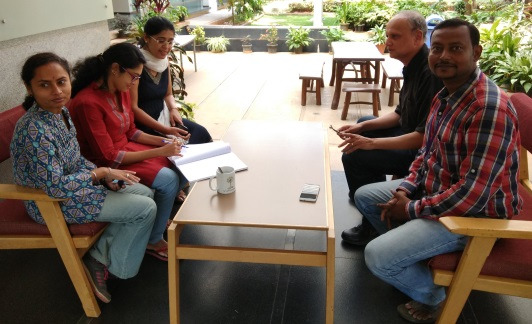 Her team is presently incubating at Venture Centre, Pune and through the BIG Schem is working on isolating novel Lactic Acid Bacteria, from food spoilage microflora, exhibiting antimicrobial activity to improve food safety and shelf-life. 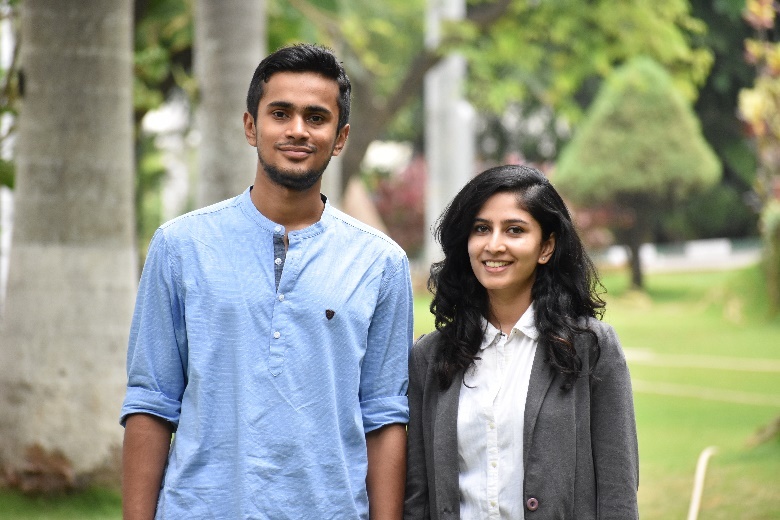 IndioLabs, a Bangalore based medical device startup, emerging out of the prestigious Stanford-India Biodesign Program, is developing a safe and cost-effective device for soft organ core-tissue biopsy for definitive diagnosis. This device provides unprecedented patient safety through the integration of the unique system that concurrently delivers a hemostatic sealant directly to the site of tissue removal to prevent blood loss. Also the new approach has a multi-functional needle that pierces skin and cuts soft tissue in clean “scooping” action which reduces physician effort and skill by an automated tissue capture mechanism and substantially simplifies the procedure. 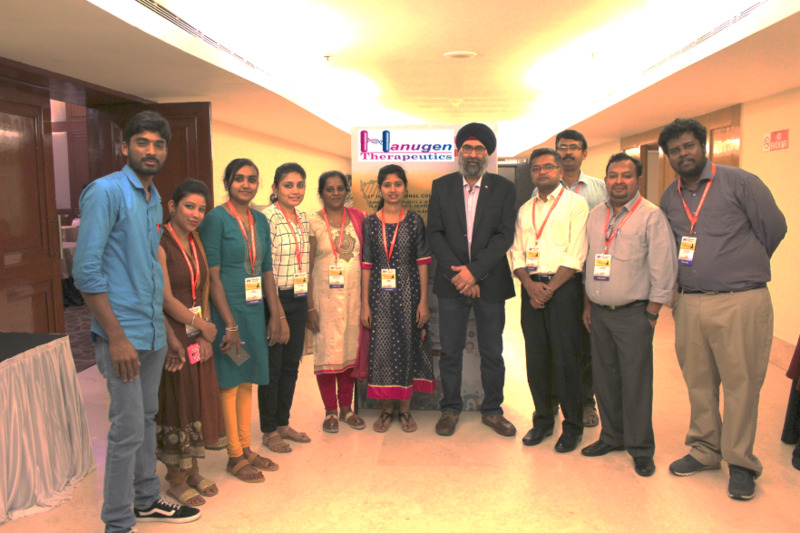 These technologies will help physicians for the safe and affordable solution for definitive diagnosis of highly dangerous communicable disease like viral hepatitis, which is leading India to a burgeoning silent epidemic. Dr. Sai SIva Gorthi is an individual academician incubated at the Robert Bosch Center for Cyber Physical Systems (RBCCPS), Indian Institute of Science. He intends on developing an imaging based point-of-care diagnostic device, which can fully-automate the complete work flow of conventional clinical microscopy. A custom designed portable digital microscope augmented with dedicated microfluidic lab-on-chips would enable process automation, as well as, cost-effective implementation of microscopic diagnosis of malaria. Such an inexpensive, portable, and easy-to-use diagnostic device is expected to greatly enhance the quality of health-care available to the rural population of the world. 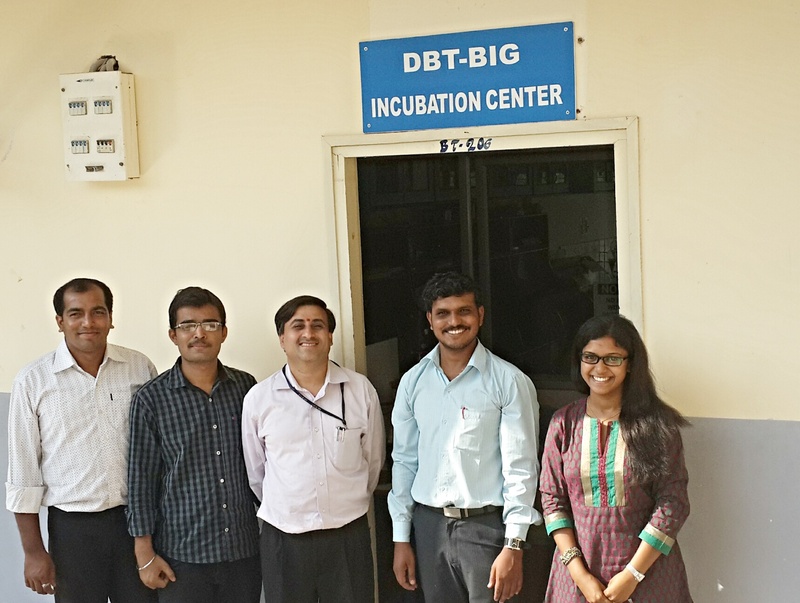 A young Bangalore-based venture started in 2013 and currently incubating at Institute of Bioinformatics and Applied Biotechnology (IBAB) that is focused on production of biobased chemicals. The company is using advanced synthetic biology tools to establish fermentation processes for conversion of waste into green chemicals. Dr. Pillai is an individual academician from THSTI incubated at the National Capital Region Bioscience Cluster (NBC) Incubator at Faridabad. Through the BIG grant he is trying to demonstrate proof-of-concept for a subcutaneous, implantable, drug-delivery device that will auto-deliver the standard anti-TB regimen. This strategy aims to dramatically improve adherence and minimize the need for patient compliance by moving the burden of compliance to the device. 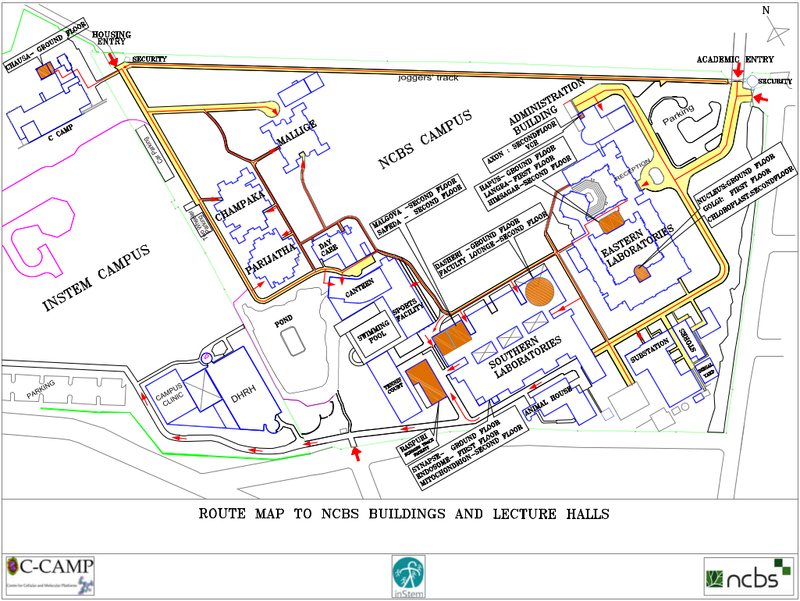 An individual academician currently incubated at Technology Business Incubator, Bits Pilani Hyderabad Campus. He is working on formulation of 3D filaments that are biomaterial based along with the development of a bio-material specific 3D printer that will be tailored to be flexible for cost-effective and eco-friendly 3D printing. An individual academician incubated at Indian Institute of Horticultural Research, Bangalore. As a part of her BIG-funded project,she is developing processes for commercial scale-up of conventional micro-propagation of banana in suspension cultures using bio-reactors. 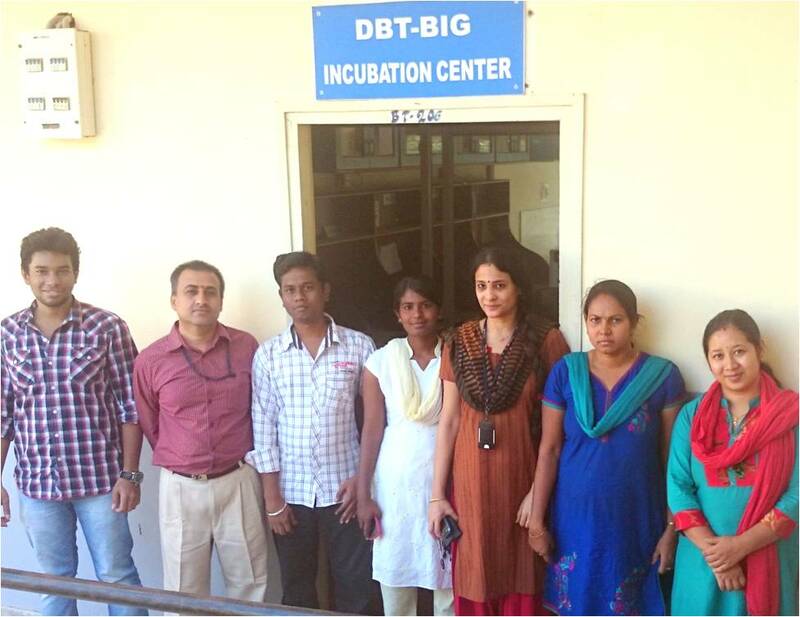 An individual entrepreneur working on cordeycep cultures incubated at Sir M Visvesvaraya Institute of Technology, Bangalore. Her BIG project involves extraction and formulation of nutraceutical and therapeutic compounds from cordeycep cultures grown using silkworm pupae. Dr. Vemula is an individual academician from InStem incubated at C-CAMP. His BIG-funded project involves development of a prophylactic synthetic-enzymes for prevention of chronic pesticide exposure. 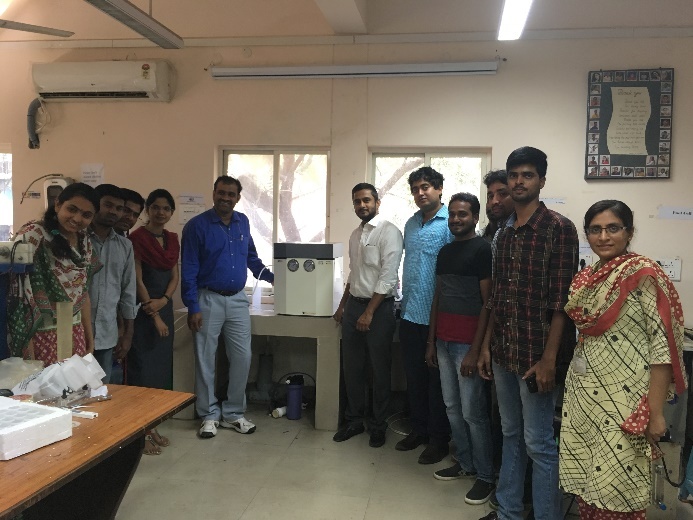 Envisioned to develop a platform technology for rapid detection of pathogens in water, Module Innovations is a recently established start-up based in Pune and incubated at Venture Centre. The company was incorporated just after receiving the BIG grant and they have started their work to establish colour changing nanofiber strips for single and multiple use for selective detection of the Enterohaemmorhagic strains.The start-up aims at providing innovative solutions to Indian market pegged at 500 million USD. 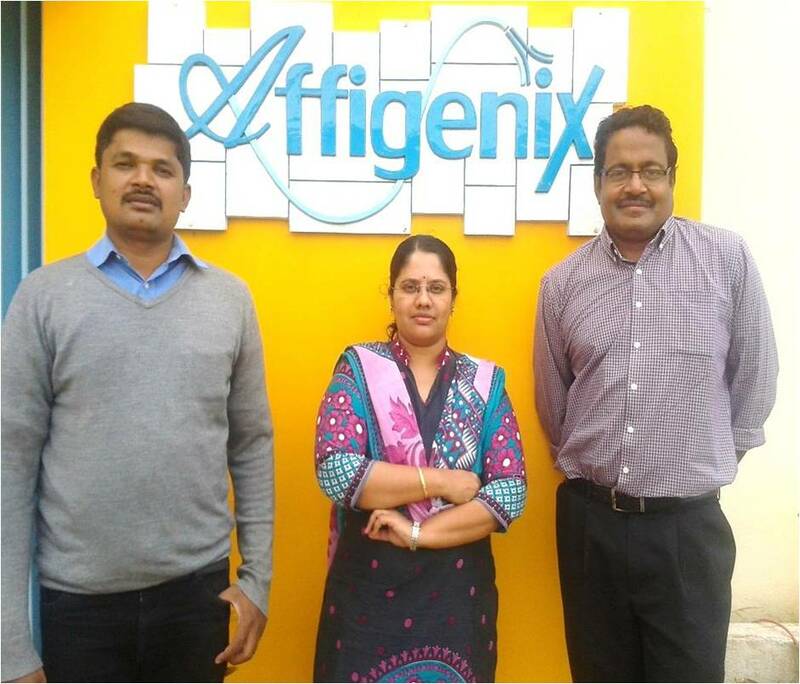 Affigenix Biosolutions Pvt Ltd; an emerging Bangalore based Bioanalytical CRO is using Antibody engineering techniques to develop PAN reactive Trypsin resistant anti-Trypsin antibodies for use in purification of Trypsin, for monitoring Trypsin clearance during biologic's manufacturing and to engineer it as therapeutic antibody for treating pancreatitis, pulmonary emphysema and bronchial asthma. A Bangalore based start-up with an excellent lab set-up focusing on herbal ingredients & biodegradable polymers for various applications including diagnostics and MR angiography. Through the BIG funds they are trying to develop nanoparticle based blood pool contrast agents for MRI which is biodegradable as well as long circulating making it an attractive candidate for MR angiography. A young start-up working on novel animal vaccines and diagnostics, is focused on development of a technology for eradication of rabies. The team members are former awardees of the BEST Scheme from ABLE and are now taking their idea forward through the BIG scheme and working on the development of a combinatorial DNA vaccine for rabies and immune-contraception for stray dogs. Dr. Mohan is an individual scientist incubating at Translational Research Platform for Veterinary Biologicals, TANUVAS. His BIG-funded project involves development of a novel therapeutic biosimilar for canine parvoviral enteritis. The therapeutic is a recombinant fusion protein that targets the viral receptor and neutralises the virus. Innaccel Acceleration Services Pvt. Ltd.
InnAccel Acceleration Services private limited is India's first medical technology acceleration company focused on innovation for low and mid-income markets. 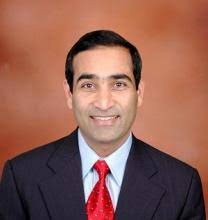 Dr. Jagdish Chaturvedi is the director of Clinical Innovation at Innaccel and leads the development of affordable medical devices for the company. He leads a team working on a technology called Noxeno, which is a novel, dedicated, easy to use device for effective removal of impacted foreign bodies (NFB) from the nasal cavity in children by GPs and/or health workers in underserved areas. Noxeno was launched recently. Another product, Sinucare - a balloon sinuplasty device for sinusitis, has also been launched. 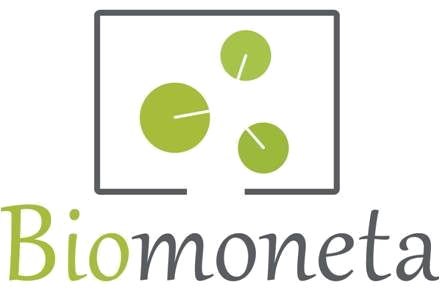 Biomoneta designs devices that extract and kill a wide spectrum of microbes (bacteria, fungi and viruses) from contaminated environments. Our novel decontamination technology synergistically combines the principles of electrical engineering and air-flow design with novel anti-microbial materials to achieve microbial kills of over a billion-fold. Our primary focus is preventing the spread of infections in healthcare settings, where technological support for infection control is not widespread. Hundreds of millions of patients are affected by healthcare-associated infections (HAIs) worldwide each year, leading to significant mortality and financial losses for health systems. Nearly 30% of ICU patients succumb to infections due to poor infection control. The increasing numbers of multidrug organisms make “no-drug” solutions, such as decontamination technologies, an important part of the strategy against HAIs. 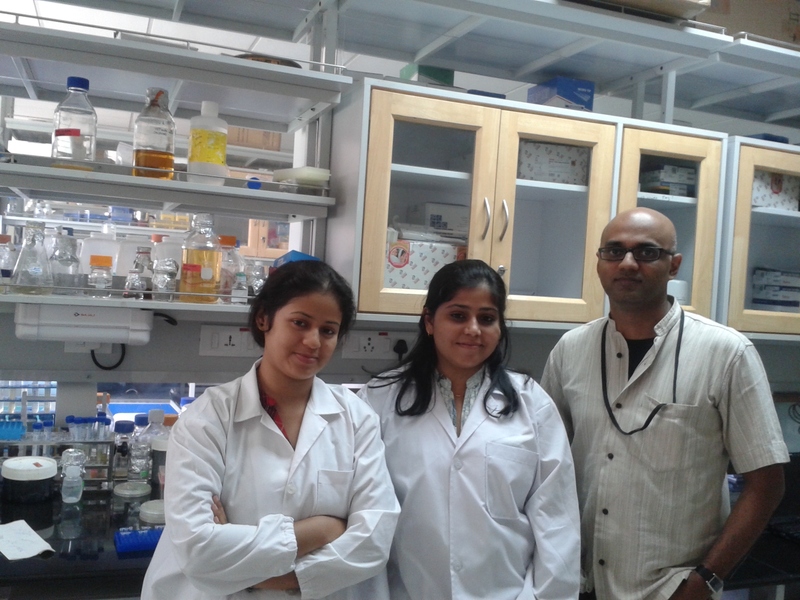 A Bangalore based venture started very recently in November of 2013, is focused on neurodegenerative disorders. 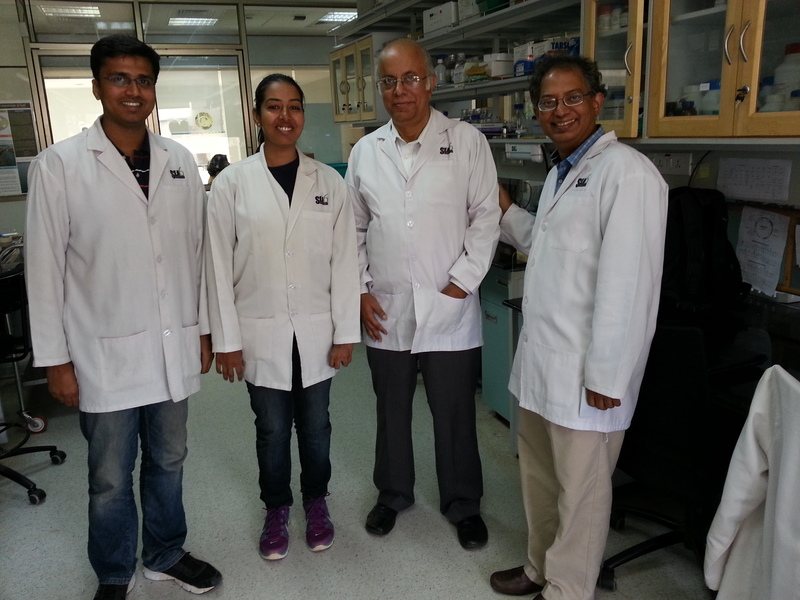 Their BIG funded project involves development of novel neuroprotective agents for Parkinson's disease. The company’s proprietary small molecule inhibitor compounds are derived from natural products. 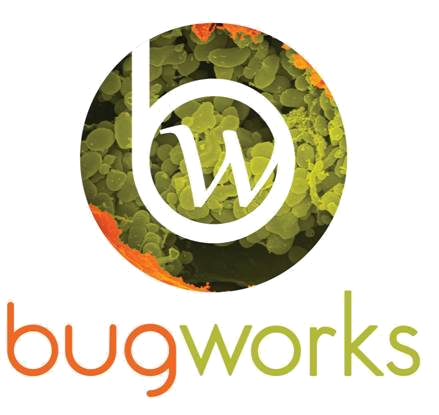 Also a spin-off from Cellworks Research, Bugworks Research is a 4th Call BIG grantee and they are a drug discovery company that aims to discover novel treatment options for hospital acquired infections using a systems biology approach. Bugworks uses highly differentiated Systems Biology approaches to identify novel combinations that enhance the action of antibiotics and to discover novel mechanisms that target biofilms. A recently established venture, Shilps Sciences is a life science and nano-tech company focused on developing instruments and processes that probe cell mechanical properties. Their BIG funded projects revolves around developing an AFM and microfluidics based detection device for cancer metastasis. Aten Biotherapeutics is a young start-up focused on nanotechnology based therapeutics for lysosomal storage disorders and other rare diseases. They recently received funding through BIG to work on nanoparticle based therapeutic for Niemann-Pick Type C Disorder. 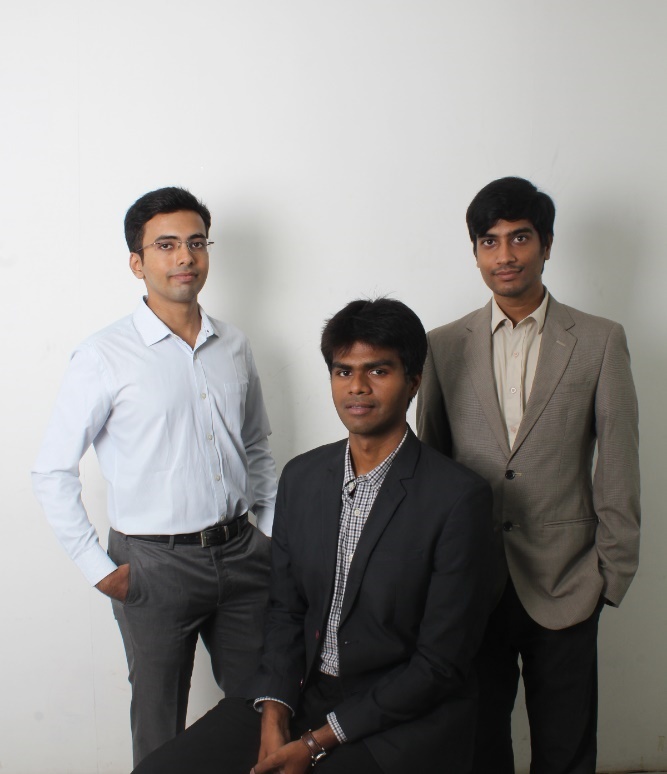 Coeo Labs is a young med-tech start-up focused on innovative medical devices for Emergency, Trauma and Critical Care. 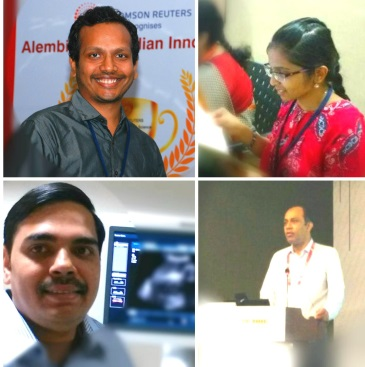 They have been awarded the BIG grant to take forward preliminary work performed as a part of the AIM Program (Affordable Innovation in MedTech) and develop a device for prevention of Ventilator associated pneumonia (VAP). The proposed device is an efficient secretion system that avoids pooling of secretions in the lungs which caused VAP. Vital Bioscientific Solutions Pvt. 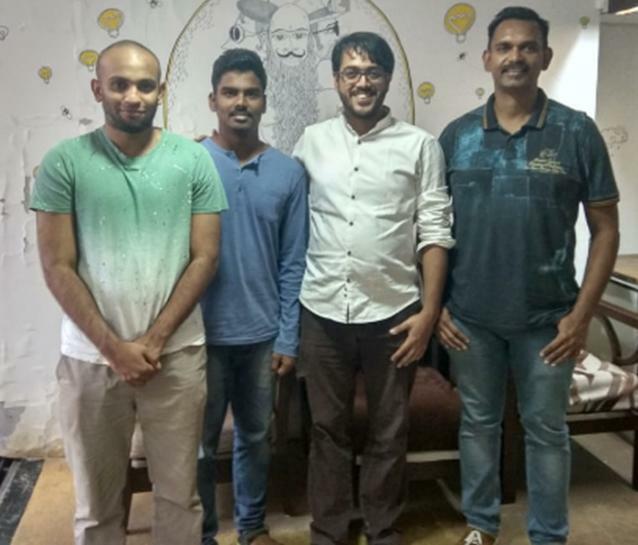 Ltd.
Based out the Madras, Vital Bioscientific Solutions is a very recently established venture founded by a couple of IIT-Madras graduates. 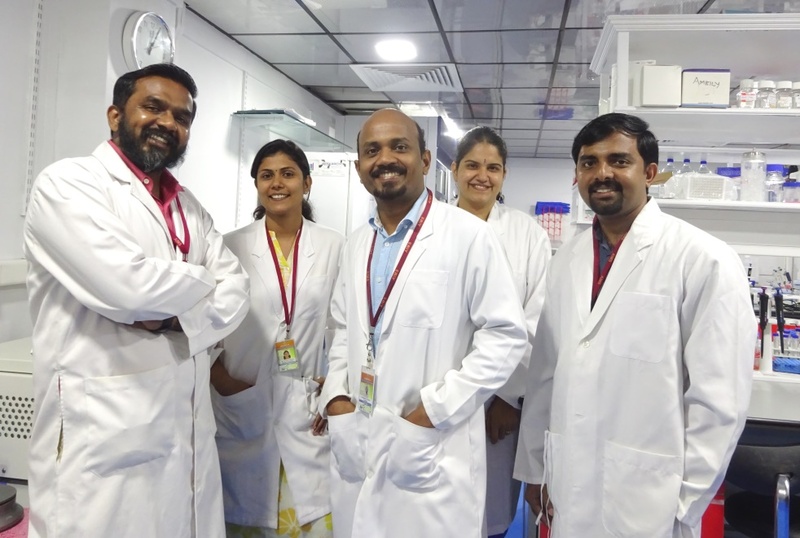 Their BIG funded project involves, development of a novel monolayer based parallel artificial membrane permeability assay to determine permeability of chemical entities and drugs. The monolayer coating is bio-mimetic and expected to be more efficient and cost effective as compared to gold standards used in the industry. Dr. Satya Tapas is an individual entrepreneur incubated at C-CAMP working on a highly sensitive portable microscope for malaria detection. He is working on developing a compact lens system for a battery operated portable microscope that would be able to record the parasite counts in blood smear for further references. 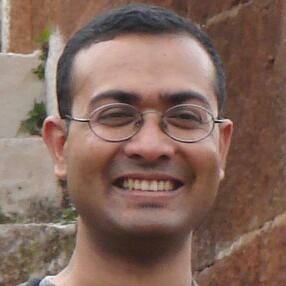 He own 2nd prize in ABLE-BEST 2013 and took his idea forward through BIRAC-BIG scheme. Dr. Naga Mohan Kommu is an individual Entrepreneur and academician from BITS-Pilani, Hyderabad incubated in the Technology Business Incubator there. His team is working to develop an automated diagnostic device for human genetic disorders. This would be a cost-effective and rapid, multiplex ligation probe amplification (MLPA) based detection device for abnormal copy number variants. 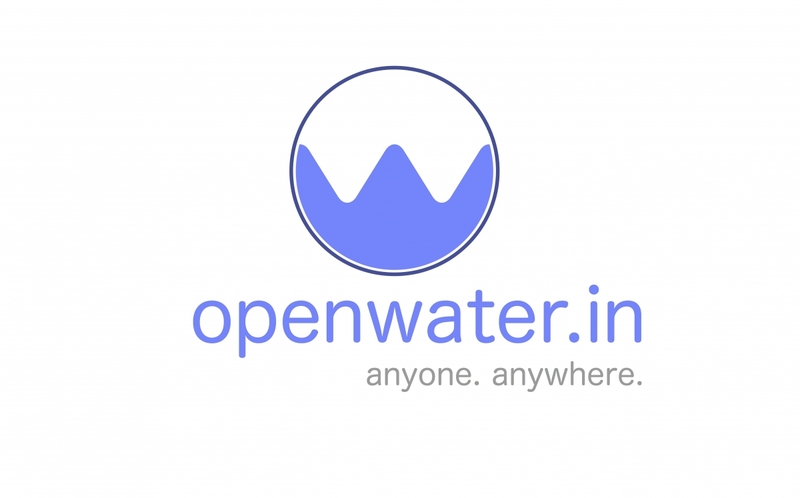 openwater.in is founded by Dr. Sanjiv Sambandan and is a spinoff from the Flexible Electronics Lab, Department of Instrumentation and Applied Physics, Indian Institute of Science, Bangalore. 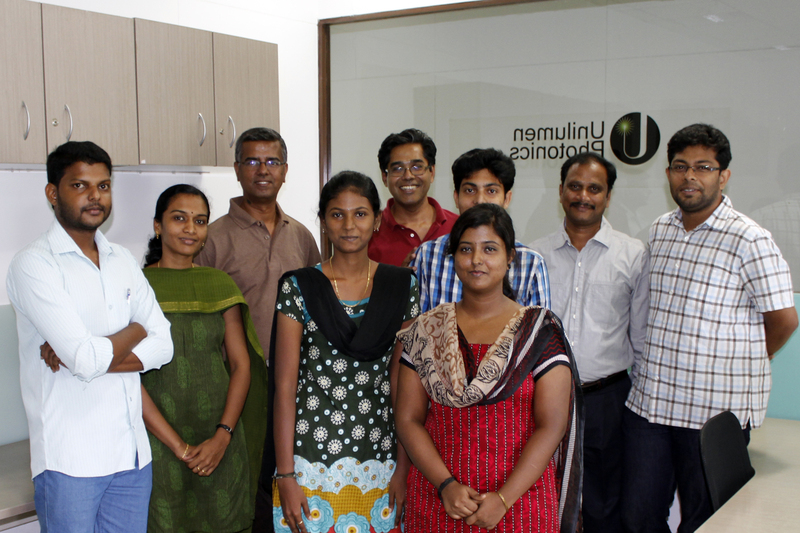 The main goal of this startup is to provide smart solutions in the area of waste water management. 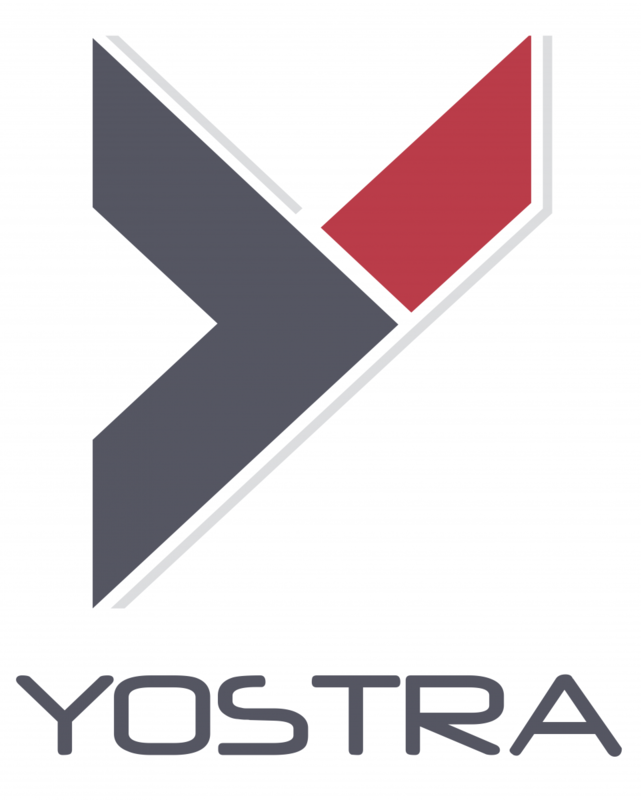 Yostra is a healthcare technology firm pioneering smart innovations to make healthcare more effective, affordable and sustainable for the cost sensitive developing market. Diabetes is our core focus area and our team is working on ‘Sparsh’, a screening device for Diabetic Peripheral Neuropathy and ‘Kadam’ a therapeutic device for Diabetic Foot Ulcer treatment, both of which have far reaching impact on public health. 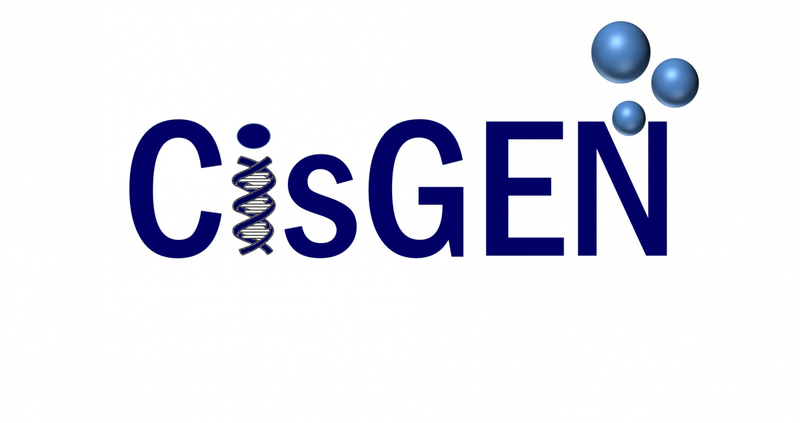 CisGEN Biotech Discoveries Pvt. Ltd. The Technology is to develop animal TB alert Point of care kit an rapid immuno chromatographic test for TB antibody detection with following novel characters The animal TB alert POC contains defined recombinant TB specific proteins (selection based on genomic and proteomics analysis studies) and pathogenic whole TB proteins and non pathogenic whole TB proteins bound to the nitrocellulose membrane using two kit modules. The two kit modules will identifies and differentiates the TB exposure from the NonTB exposure. Detection of exposure to NonTB is essential in Indian animals population as most of them are exposed to environmental Non TB and result in false positive results in the current diagnostics. Dr. Subhasis Sarangi is an individual academician incubated at the Society for Innovation and Development (SID), Indian Institute of Science. He leads a team intend on developing a new method of detecting how far a patient’s cancer has spread. The device works on pulse induction principle and uses magnetic nanoparticles for sentinel lymph node biopsy procedure, rather than the standard radioactive isotopes and blue dye, which improves safety, accessibility, and reduces treatment cost. Cleanergis Biosciences is involved in Research and Development of innovative, high-quality enzymes for food and waste-water-treatment. The company is currently working on some powerful enzymes obtained through microbial sources and using algae based technologies for bioremediation of sugarcane based distillery waste. The company has developed some useful and potent Enzymes. It has adopted protein engineering solutions to get such proteins. It has a comprehensive portfolio of protein expression systems, synthetic biology methods, assay development and validation. They also offer to its clients customized solutions and proprietary technologies. Cleanergis works in partnerships with clients to ensure mutual success. Dr. Prasanth Rathinam received his Doctoral degree from VIT University, Vellore in Renal diseases (Especially Nosocomial Infections). His research interests include cell-cell communication in pathogens/anti-virulence mechanisms/Devise associated nosocomial infections/Biologically improved devises. He is right now working on biofilm associated medical device infections and with the help of the BIG fund he would like to upend the currently available infection prone urinary catheters to anti-infective. He received the Senior Research Fellowship from ICMR and got recognized in many national and international conferences as well. Spotsense in a resident incubate at C-CAMP. It is currently working towards creating simple affordable and accessible diagnostics especially in the field of pediatric medicine. Spittle, the first product by Spotsense is a diagnostic pacifier which has been developed as a platform for saliva based screening of various neonatal health ailments. The first offering on this platform is a rapid diagnostic test for Neonatal Sepsis. The product is currently in prototype stage and expected to be in market by 2018. Oreva Medicare Research Pvt. Ltd.
Oreva works on a hands free "electronic larynx" which is affordable, aesthetic in appearance with near normal sound quality. It is also working on an alaryngeal speech device to provide near normal speech for laryngectomee patients. Their proposed solution is conceptualized as an affordable device that would have functions of pitch adjustment and variation together with loudness, producing near normal voice. The device would enable the user to operate mobile phones, microphones and other electronic devices. The device would have a hands free design with decreased radiated noise and better cosmetic acceptability. Their product is aimed to be an affordable way to non-surgically rehabilitate patients who have undergone laryngectomy to restore near normal voice. TerraBlue XT works on technologies to make the lives of people with chronic disorders better. 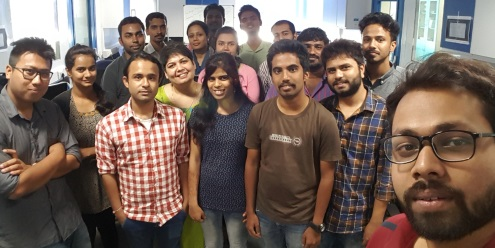 They are a Bangalore-based startup, comprising of a young and dynamic team of engineers, designers, consultants, and researchers led by CEO Dr. Rajlakshmi Borthakur. The greatest feather on TerraBlue XT’s cap is TJay, an award winning device for the prediction, detection and management of people with epilepsy. 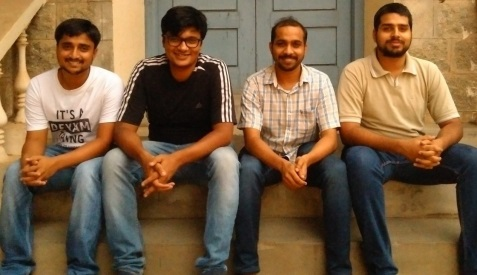 TJay catapulted the company to fame, when it became one of the top three winners of the Innovate for Digital India Challenge in 2015, supported by Intel and Government of India that saw participation for 1900+ startups and individuals. TJay was quickly followed by Xaant, a wearable that helps practice calm, gives intriguing insights about the state of a person’s mind and shows how to beat stress. With its ability to understand mental health quickly, Xaant, currently in the final prototype stage is expected to create waves in the wellness sector and is poised for release in the global market. TerraBlue XT’s goal is to bridge the treatment gap existing in the country and it will work to make the lives of people safer and better. 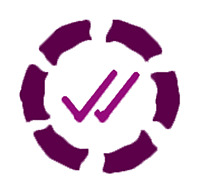 Nesa Medtech Pvt. Ltd. is a medical device start-up working towards excellence in the Research & Development of Medical devices for emerging countries specifically India, and believes in pursuing business through innovation and technology. They are developing an accessible, minimally invasive procedure to treat symptomatic uterine fibroids safely and effectively. This can be achieved by ablating fibroids using radio frequency electrode inserted through uterine cavity under real-time guidance of trans-vaginal ultrasound. Use of the local anesthesia and no incision allow this procedure to be performed in the gynaecologist’s office as a day care procedure. Blood transfusion facility in rural area is very poor in India. 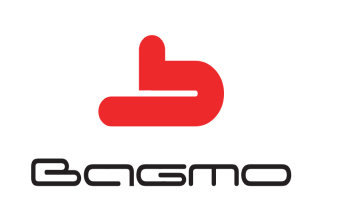 There are various reasons for non-availability of blood in India, Team Bagmo is working towards addressing these issues to eradicate non availability of blood in rural India. Their first product in development is a novel blood bag monitoring solution while blood is transported to rural areas. While transporting the blood bags, cold chain should be maintained. For quality assurance temperature breaches are monitored and documented for each blood bag in their solution. This will in turn increase confidence on blood available for transfusion and also reduce unnecessary wastage of precious blood. Dr. Shantanu Chakravarti is a Mechanical Engineer by training and his interests are in medical devices, haptics, controls, and robotics. He is working on developing a Virtual Reality based simulator for training doctors in endoscopy. He studied haptics and simulation related issues for developing an endoscopy simulator during his PhD. They are continuing this work and planning for a commercial venture through the support of BIG funding. Their focus in this work is developing technologies for immersive simulations in endoscopy. 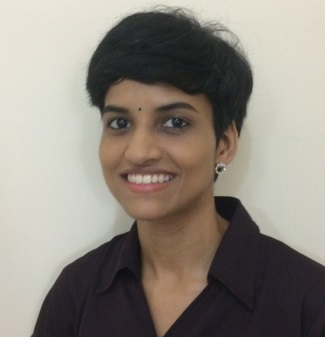 Dr. Kalyani is a molecular biologist with Ph.D. from Johns Hopkins University, USA. She is developing an affordable, point of care device for comprehensive and early detection of liver disease. Current diagnostics for detection of alcoholic and non-alcoholic liver disease are neither comprehensive nor accurate for all situations and add to increasing costs for patients. Her project will build a technology device utilizing biomarkers miRNA in blood to detect liver disease much earlier, more comprehensively and at an affordable cost bringing clarity and certainty to diagnosis. The goal is to build a point of care device for easy use, eliminating the necessity for trained personnel and laboratories. Successful adoption of the technology will transform the current market, introducing a blood based diagnostic equivalent to the gold standard biopsy. 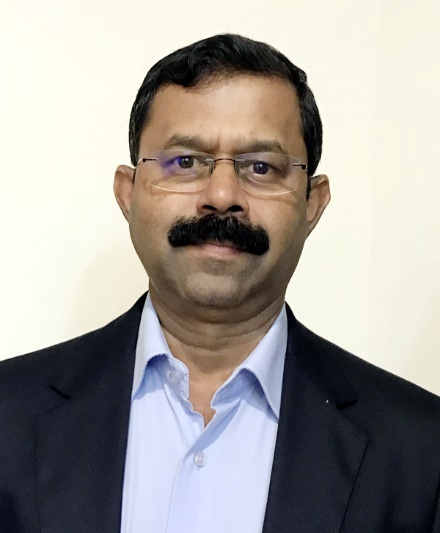 Dr. Khedkar is a scientific leader with about 20 years of experience in biotech product development, analytics, formulation and process sciences. He has worked on oral develiery of insulin for over a dacade and made it successfully through phase 2 clinical development. He has been an inventor in multiple patents and authored several publications. His vision is to address unmet patient need through next generation peptide drugs. Towards this objective, he is working to develop a peptide editing platform to specifically deliver peptide drugs orally. Using in silico and in vitro assays, the objective will be to select novel analogues of known peptide drugs that are amenable to oral delivery, without impacting its function. 1) Development of Load-cell based structure platform with desired structural features to house the potted plants. 2) The other R&D activity is to design and develop embedded electronics controller to capture real-time data of the load-cell assembly. They are in the process of further testing their first prototype. 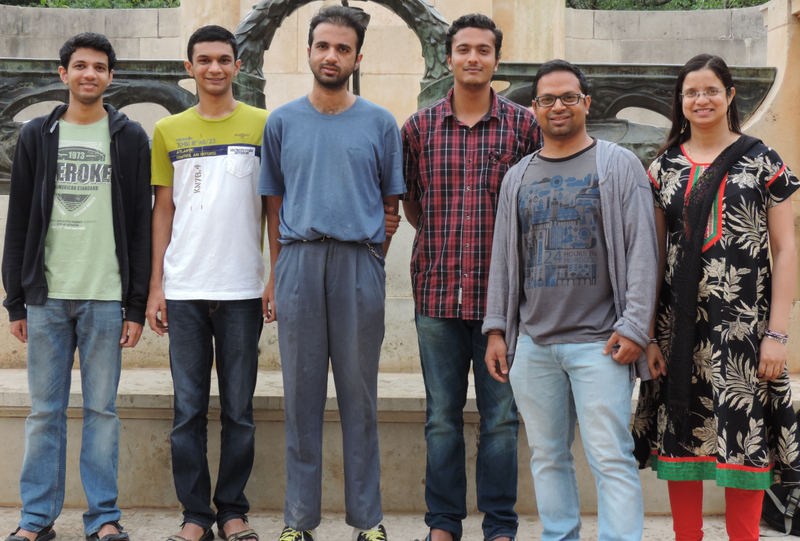 They aim to develop a minilysimeter device for precise imposition of soil moisture stress. The device has a phenomenal relevance and significance in identifying the crop varieties with improved draught tolerance and productivity. 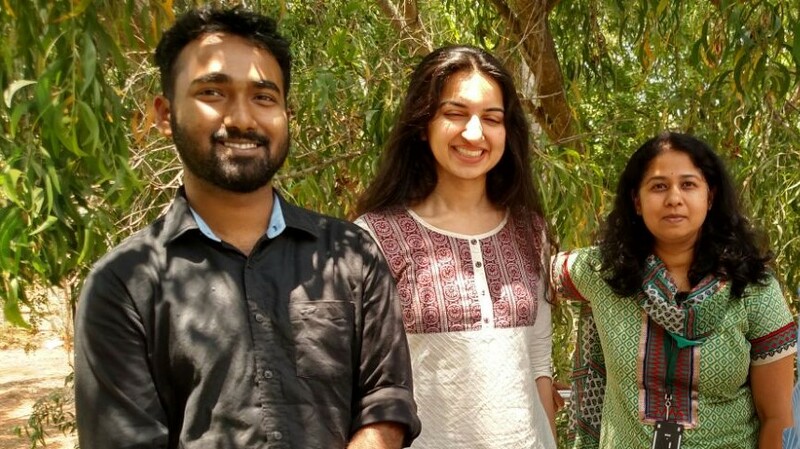 Empathy Design Labs is a Bangalore-based company working on developing a fetal monitoring device to prevent still births in developing countries. As per WHO report - 2.6 million stillbirths take place every year across the globe. More than 98% of these still births occur in developing countries like India. Empathy is designing a device to prevent stillbirths in developing countries by introducing an affordable, wearable, effective, and non-invasive screening and monitoring tool. Post completing early clinical studies, they plan to introduce the product into the Indian market. 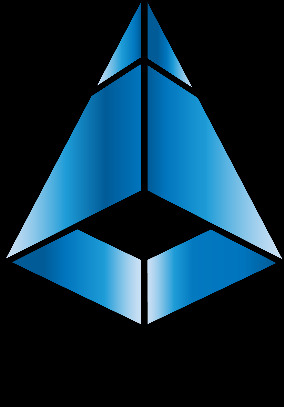 Eyestem is a resident C-CAMP incubatee using stem cell and gene editing technologies to create breakthrough therapies for degenerative diseases of the eye. Age-related macular degeneration (AMD) affects the RPE layer of the retina and ranks third among the global causes of visual impairment. Eyestem’s vision is to create scalable and affordable stem cell therapy for these degenerative eye diseases. Theevanam Additives & Nutraceuts Pvt. 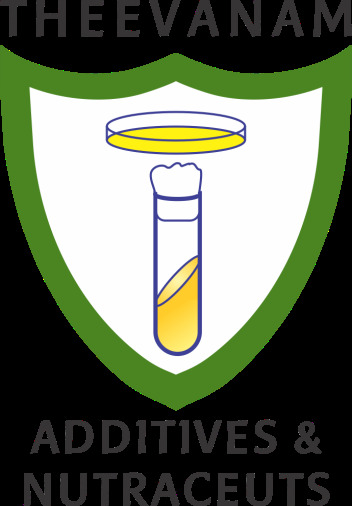 Ltd.
Theevanam Additives & Nutraceuts Pvt. Ltd. is a Start-up company with a commitment for excellence in bringing quality products and technology in food and feed additives sector. They are working on the development of the novel formulation of natural polysaccharide immunity booster for booming Shrimp aqua industry of India. The formulation is expected to efficiently eliminate major infections and stress/morbidity usually encountered in shrimp cultivation at hatcheries as well as open ponds/farms and thereby the formulation will improve the overall productivity. Luxmatra is working on developing a novel radio-wave responsive, biodegradable nanoparticle platform for image-guided hyperthermia combined with immunotherapy for liver cancers. LuxMatra will focus on developing biodegradable nanoparticles that can trigger hyperthermic response within tumors upon exposure to low-power radio-waves. 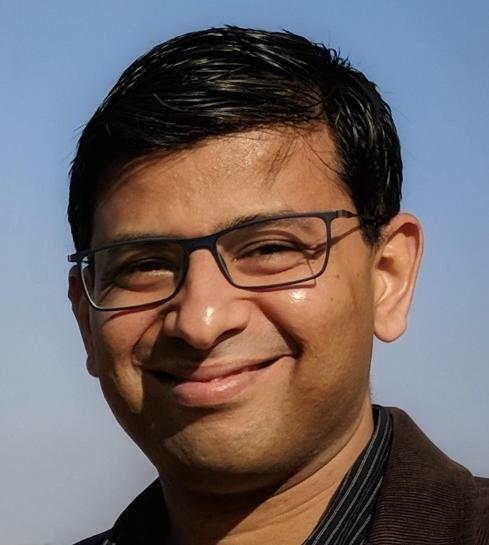 Dr. Vishal Rai is a individual entrepreneur whose research interest lies in developing chemical technologies for precision labeling of proteins. His team has developed chemical platforms that can identify and target reactivity hot-spots on the protein surface and enable single-site protein modification. Snaayu Lifesciences is a resident incubatee working towards isolating and characterizing novel analgesics from cone snail venom. Cone snails are venomous mollusks with around 700 species. A number of pharmacologically active peptides have been isolated from venoms of different species of cone snails. The long term goal of Snaayu Life Sciences is to use cell-based assays to target human disease pathways, particularly the nervous system, with pharmacologically active venom components to generate drug leads. Prantae is a start-up working on the development of a diagnostic platform for the miR-based detection of pre-eclampsia. Pre-eclampsia (PE) is one of top four causes of maternal deaths during pregnancy. Prantae proposes to translate the potential of identified miRs into an affordable clinical platform for early prediction of PE. Dr. Rashmi Tambe is working towards the development of a device for the early detection of acute and chronic kidney diseases. Almost 30 pct. 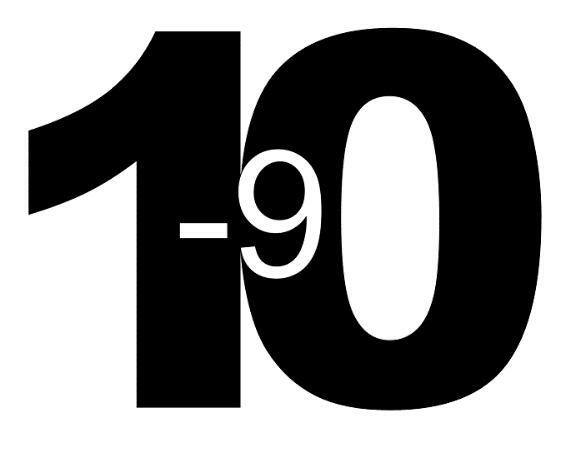 of all hospital admissions fall in a wide definition of Acute Kidney injury [AKI] and 10 pct. of population worldwide is affected by Chronic Kidney Disease [CKD]. 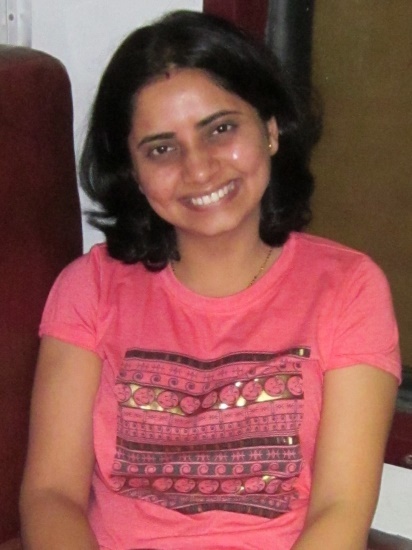 Rashmi proposes to develop an affordable and non-invasive point-of-care device that can detect a particular marker in patients susceptible to renal injury. 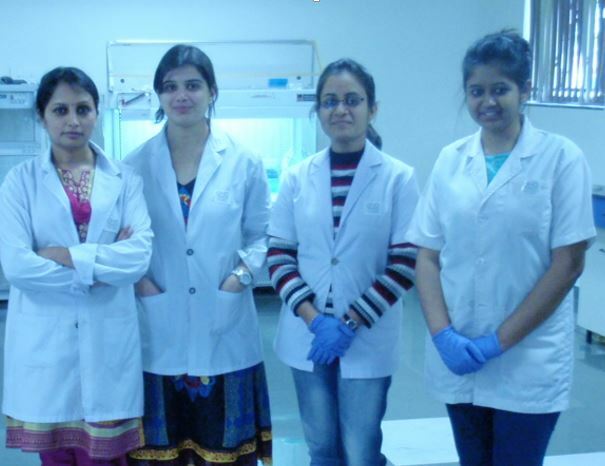 Mercuri Biotech is a young Bangalore-based start-up that is developing a novel assay for DNA quantitation. In the conventional systems, quantifying the concentration of DNA and differentiation based on size requires two separate instruments, i.e., UV spectrophotometer and agarose gel electrophoresis. Mercuri proposes to develop a novel technology delta-nuQleo which can simultaneously differentiate band size and provide concentration of the DNA sample instantly in the form of a digital gel. Their technology is cost-effective, with added benefits of no reagents or consumables, no waiting time and only the instrument cost. Dr. Mahesh H. B. is an individual entrepreneur who is interested in isolating secondary metabolites from Bacillus sp. With antimicrobial activity against plant pathogens. Bacillus has been reported to have high biocontrol activity. He aims at commercializing the potential Bacillus strains and characterize the active biocontrol molecule that is stable with respect to its efficacy, production and storage. Aditya Kadambi is an individual inventor with a background in video technologies and medical imaging. 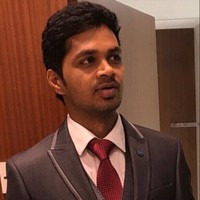 He holds a Master's degree in Computer Engineering from the University of Florida - Gainesville and Bachelor's degree in Engineering from National Institute of Technology - Surat. His team is developing the world's first completely automated Video-EEG system for accurate diagnosis of seizures. Using advanced video and image processing, modern sensors and mobile technologies, this system makes seizure diagnosis more accurate, automated, affordable and accessible. Neospec Labs are developing a point of care, handheld Bilirubin Meter for accurate detection of jaundice in Neonates. They use direct spectrophotometric principles combined with concepts of biochemistry at the core of their product. The advantages of this method are speed, elimination of centrifugation or other sample preparation, and instrument portability among others. Cartosense is a medical device startup building products that enable neurosurgeons to plan and safely perform brain surgery through the smallest openings in the skull. Their proprietary technology platform – small form-factor high-accuracy tracking of surgical instruments combined with novel algorithms and workflow improvements – makes high-end surgical navigation compact and affordable for emerging markets. 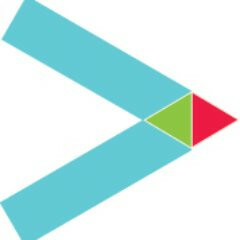 They are also building next gen augmented reality surgical guidance systems that provide the surgeon with tools to visualize, plan and execute small openings and narrow operating corridors with unprecedented spatial understanding, leading to lower postoperative complications, reduced hospitalization time and reduced treatment costs for patients and caregivers. Hanugen Therapeutics was established to provide high quality oligonucleotides. 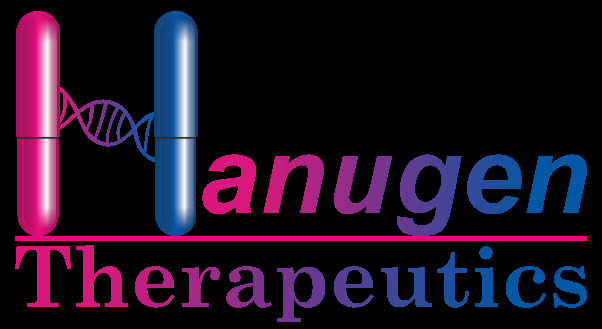 Hanugen Therapeutics is committed in developing improved methods of oligonucleotide synthesis and for the design of superior modified oligos. Their novel chemistries allow them to address specific genetic diseases by altering the RNA transcription process and thereby modifying protein structure. They specialize in modified oligos, fluorescent probes, long oligos and large scale oligo synthesis. The more modifications that are present in an oligo, and the longer the sequence, the more demanding the synthesis and purification. They are committed to the rare disease community beyond the development of meaningful therapies by delivering advances in oligonucleotide based medicines. 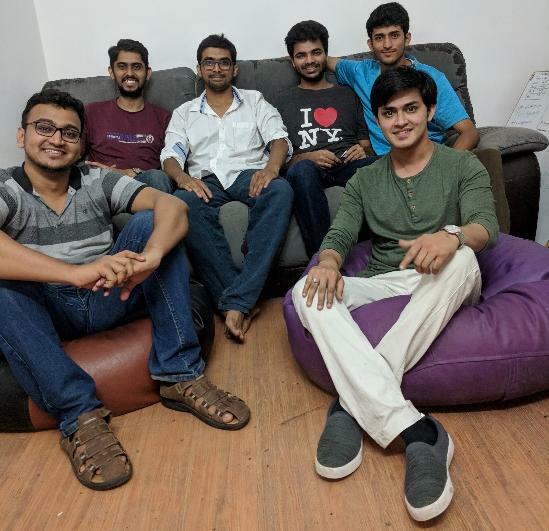 Morphle is a Bangalore-based start-up. They are solving affordable digital pathology by building whole slide scanners & softwares aided diagnostics on top of it. 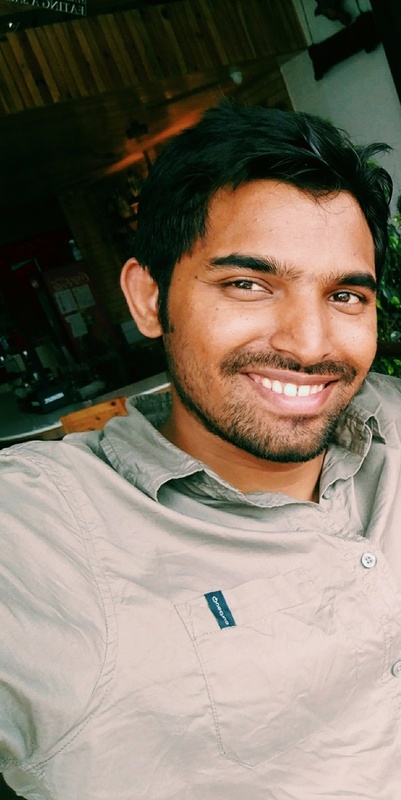 Gopi Kadiyala is an individual entrepreneur who is developing a Rapid Point-Of-Care Test Kit to Identify the Bitten Snake Species so that specific anti-snake venom can be used in treatment of snake bite. Dr. Pious Thomas is an individual inventor with a research background in plant biotechnology and microbiology with the specific areas of plant tissue culture, endophytic microbiology and molecular biology; voluntarily retired recently as Principal Scientist & Head, Division of Biotechnology, ICAR-Indian Institute of Horticultural Research, Bangalore, after 28 years in service. His plan is to test the feasibility of commercial level scaling up of papaya micropropagation in line with the banana tissue culture industry. 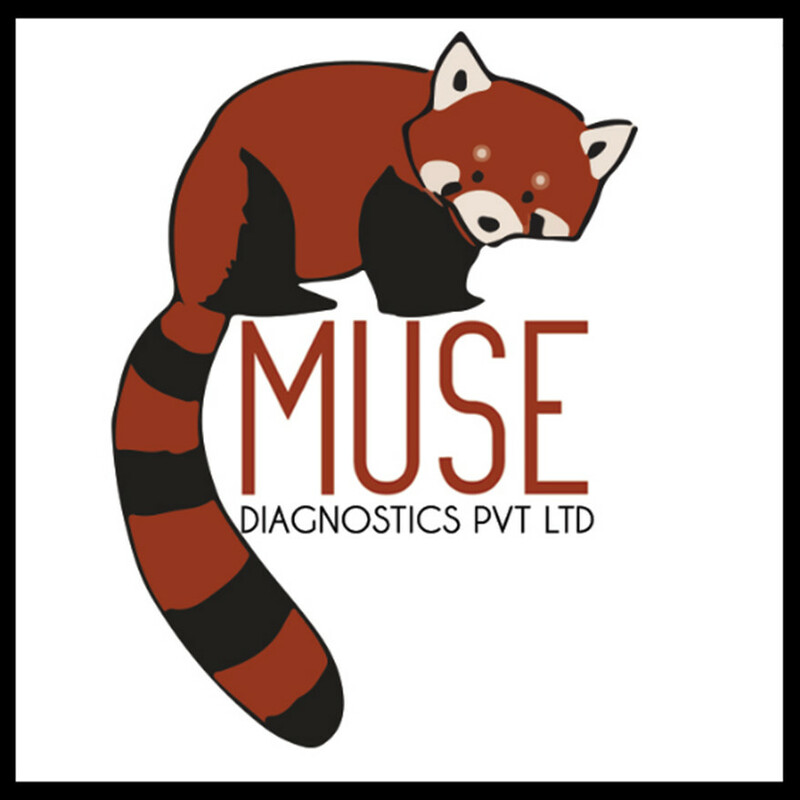 MUSE Diagnostics PVT LTD is a Bangalore based medical device company founded by Arvind Badrinarayanan & Sumukh Mysore. MUSE is currently working on a futuristic digital stethoscope called TAAL that aims to solve a latent crisis in the medical world. 80% of human death is caused by respiratory and cardiovascular disorders, most of which go undetected due to the lack of screening tools and inconsistent storage of medical data. MUSE's Digital Stethoscope called TAAL, collects sound waves and analyses them across a database of defective medical conditions to provide an affordable yet innovative answer to this global problem. TAAL is loaded with a patented electronic and acoustic design, that makes it robust, portable and easy to use. Features like volume control, multiple filter modes for heart, lungs and bowel sounds, with a 3.5 mm audio output and magnetic charging puts TAAL in a competitive position in the global market. Log 9 Materials is a nanotechnology company with a determined team of scientists and engineers working on commercializing graphene. The development of new frontiers in graphene synthesis of various forms, reduction and functionalization and designing innovative applications paved the way of the foundation of the company. It is one of the fastest growing innovative R& D start-ups which was awarded ISBA – 2017, the best start-up award in last year. 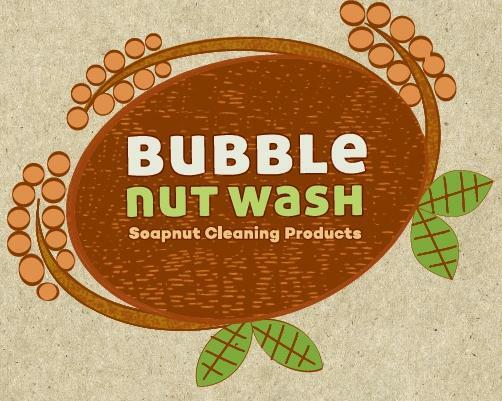 HarvestWild Organic Solutions manufactures bio-surfactants from unutilized soapnuts harvested by tribal communities, thus providing them with livelihood. These bio-surfactants are used in formulating natural and ecofriendly cleaning products. 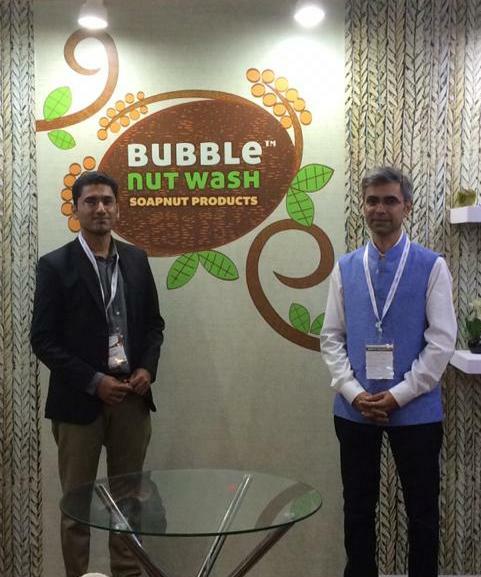 The enterprise is looking to benchmark the performance of bio-surfactant Saponin available in soapnuts with industrial surfactants. It is also looking to further optimize the extraction conditions for improving the yield of saponins from soapnuts so that lower cost of extraction along with optimum yield paves way for its industrial adoption. A major problem with crude saponin extracts is its high cost of purification. The enterprise is looking to create extremely efficient and low cost methods of purification and isolation. 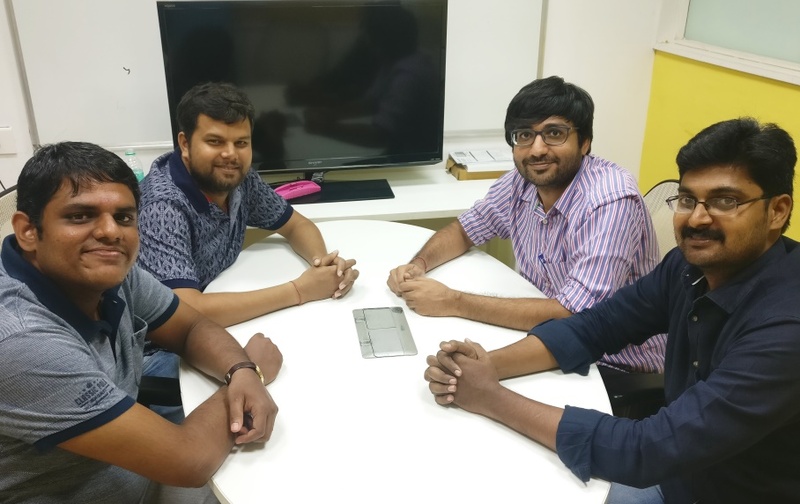 Althion is a health-tech startup developing import-substituting medical/healthcare equipment & devices for India, and eventually the rest of the developing world. Althion has licensed a patented technology developed by CSIR Indian Institute of Chemical Technology. Building upon this, they are developing two products addressing unmet needs in the Type-1 ultrapure water industry and hemodialysis space respectively. For hemodialysis Althion has developed a low maintenance IoT connected pure water unit that can be remotely monitored and thereby prevent unexpected breakdowns that affect patient care.